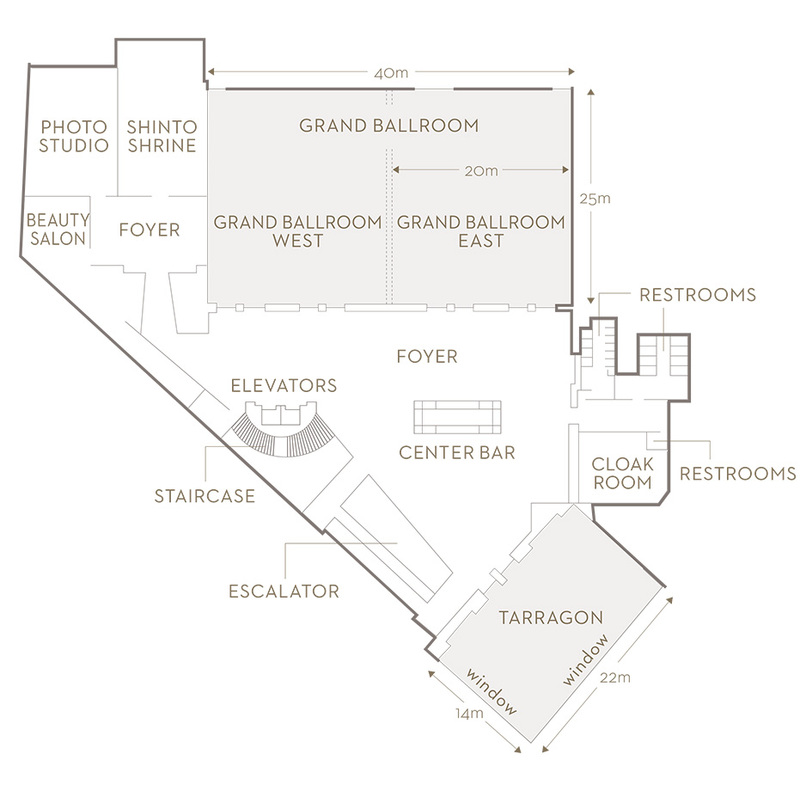 The Grand Ballroom is a 1,000 sq m (10,764 sq ft) venue with a 6.6 meter high ceiling. 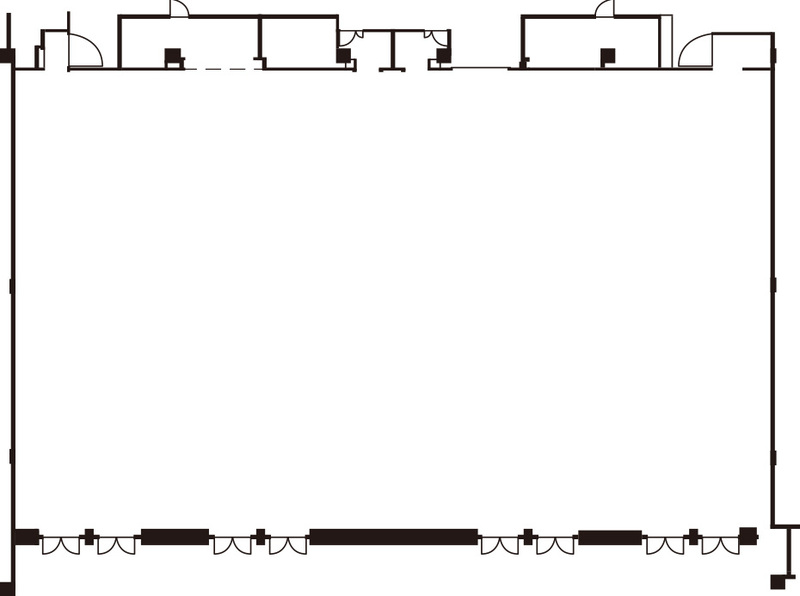 that can clearly display images with full HD specifications using advanced lighting. 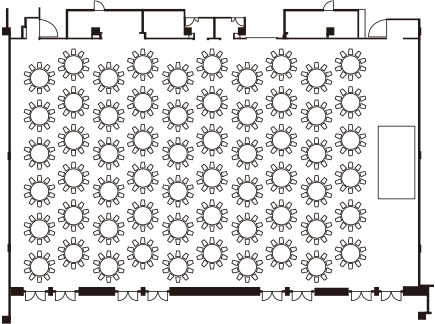 In addition, the ballroom has been enhanced with 2,400 custom-made LED pendant lights, a first for hotels in Japan. 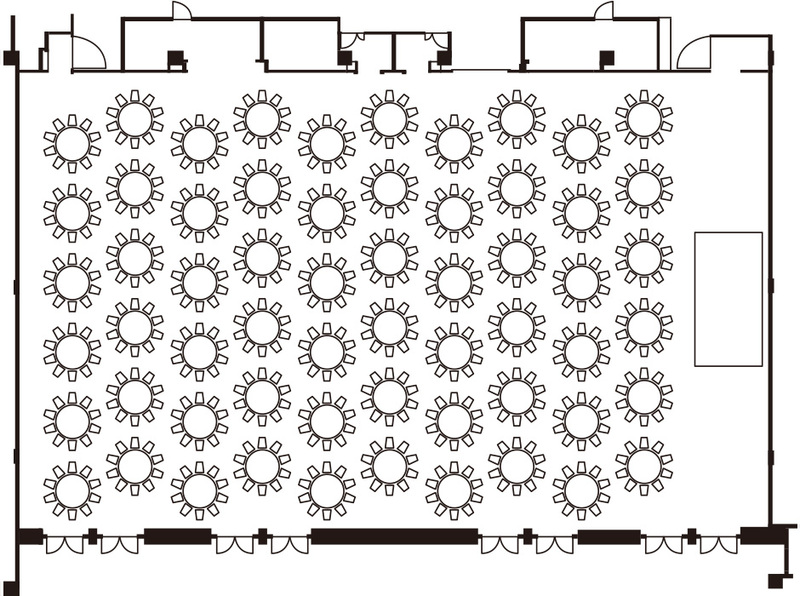 in addition to its 20 basic lighting patterns that will make events even more dynamic. 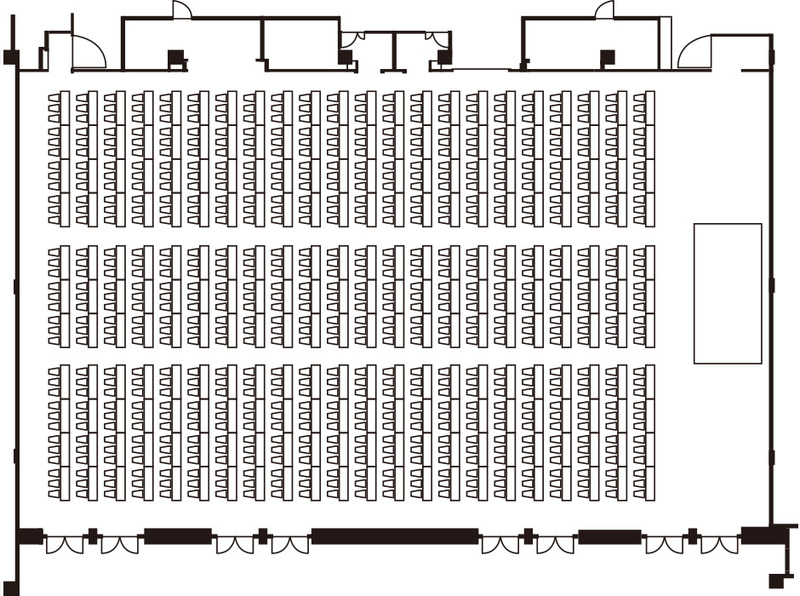 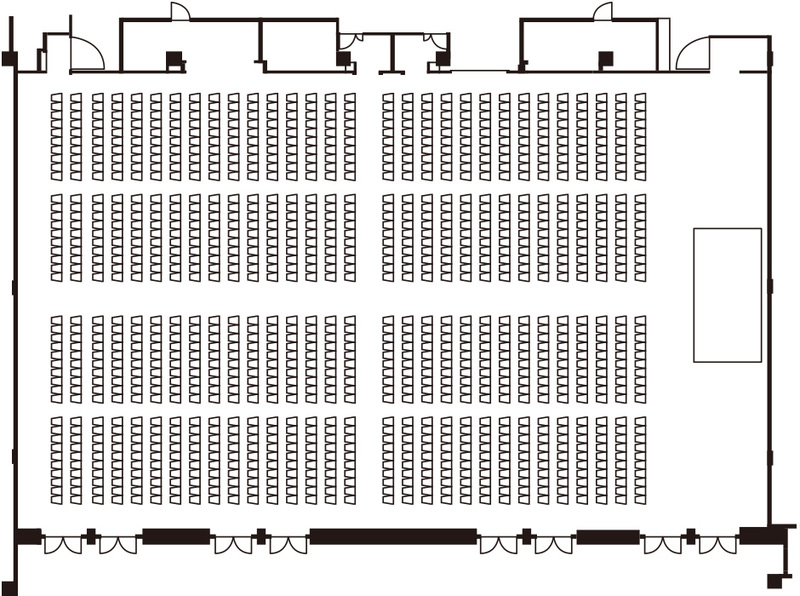 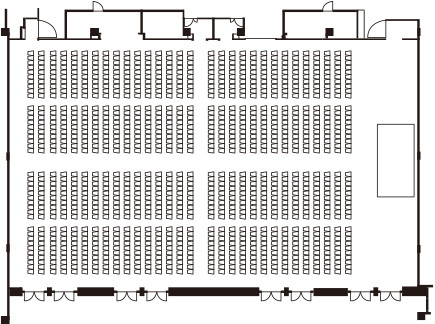 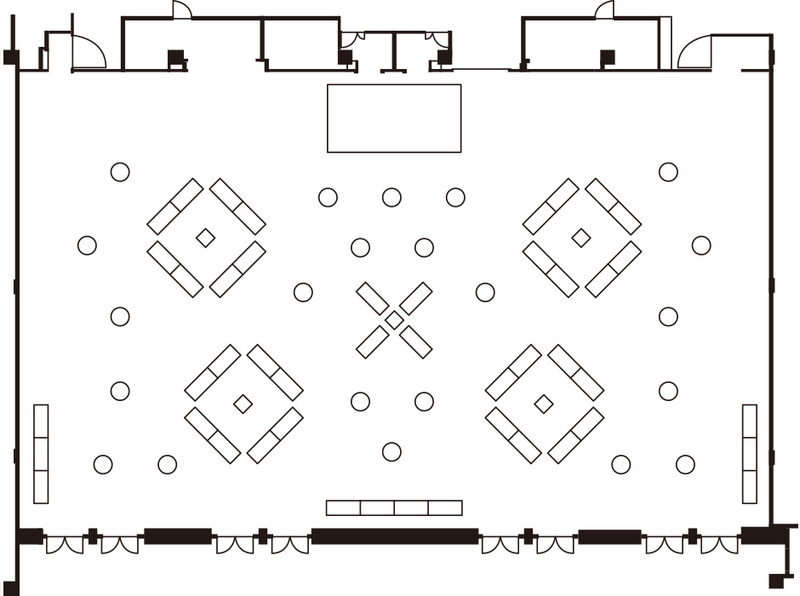 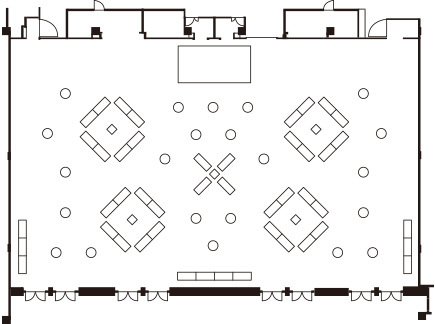 ＊The Grand Ballroom can also be divided into two separate sound-proof areas (East and West). 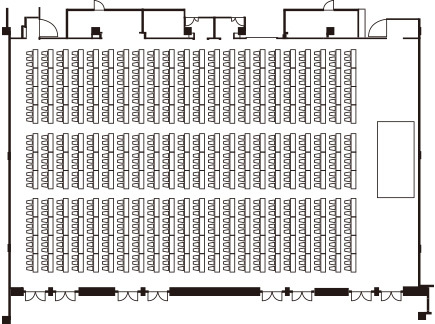 ＊Separate fees apply for special programming.